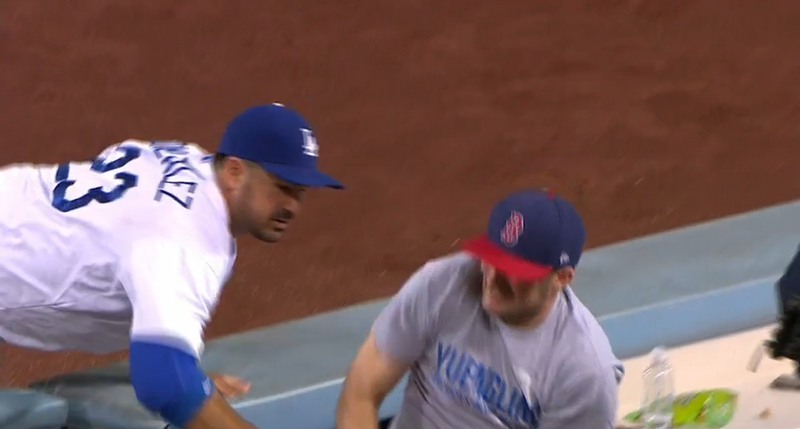 So here’s some dickhead wearing a Red Sox cap fighting with Dodgers first baseman Adrian Gonzalez for a foul ball. Gonzalez won, but he was obviously pretty pissed off. And why shouldn’t he be? The Dodgers aren’t even playing the Red Sox! Vin Scully later reported the man was ejected.